Andrés is a jewel maker from Taxco, a beautiful Mexican small town that used to have a lot of silver mines, now the silver is gone but the workshops are still there. Taxco is heavily associated with silver, there I met the jewel craftsman Andrés. I spoke to him for hours while I was watching how he works with his two other employees. 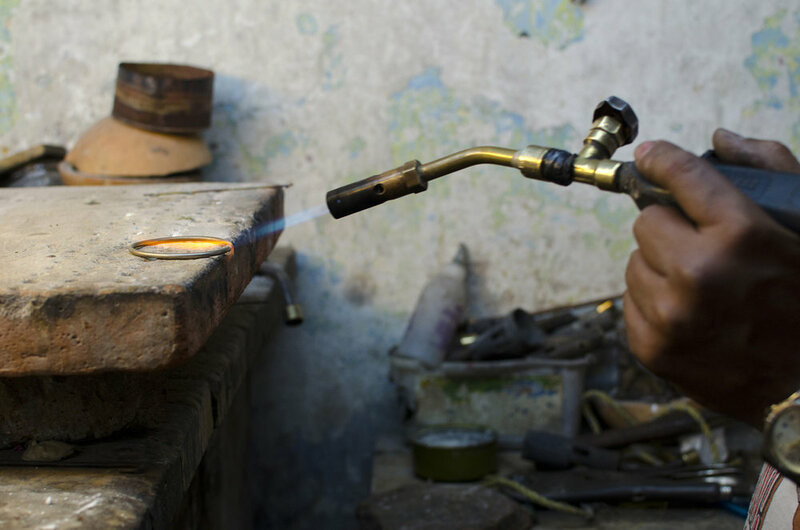 Andrés has been in the silver business for almost his entire life and his father taught him how to work the silver. The workshop is really authentic and you can find peculiar decorative elements all around it. In the shops of Taxco, you can see that there are still producing home accessories in silver, specially napkin rings, cutlery and candleholders. Almost all the other items produced are jewelry. I discussed some ideas with Andres about doing some special napkin rings and a candleholder.